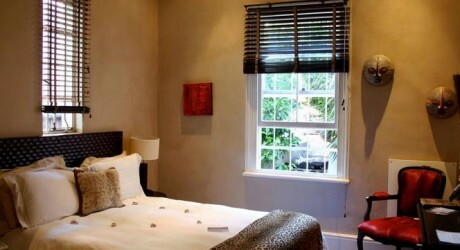 Jardin D’ébène is an hotel located in Cape Town, which has the fine Victorian mansion and it is renovated in modern and latest African-infused flair. The classy look of this hotel, Jardin D’ébène gives the finest experience for low fare. The rooms in this hotel are designed with the luxurious styles and the people can also get the spa treatments on request. The rates of the doubles start from R1,050 (£67).